Scenic Acres homes boast a phenomenal location. Both shopping and recreational destinations are plentiful throughout the community, allowing homeowners to run errands, pursue passions, and enjoy life. The majority of the homes in Scenic Acres are single-family, many of which are part of Calgary’s luxury market. As a relatively young community, Scenic Acres real estate includes many of the architectural features that are currently popular, such as spacious designs, high ceilings, and large windows. Find out more about Scenic Acres homes for sale by calling 403-968-1496, browsing the current MLS listings or reading below. Scenic Acres homeowners can easily commute to the rest of Calgary via the LRT’s Crowfoot Station. Complete with hundreds of park and ride spots, Crowfoot Station has become a major transportation hub for the residents of Scenic Acres and the surrounding communities. Additional bus routes run through the neighbourhood, with bus stops along each of the major roadways. Scenic Acres Park, Scenic Cove Park, and Scurfield Park can all be found within the Scenic Acres community, providing homeowners with ample space for recreational leisure. These parks feature baseball diamonds, sports fields, playgrounds, and tennis courts. The southern portion of Scenic Acres is bordered by Baker Park and the popular Bow River pathway. The Scenic Acres Community Association hosts programs and services for the community, helping homeowners and their families get active and engaged in their neighbourhood. Previous events put on by the association include a casino fundraiser, the annual Lego competition, and the student-oriented Bubble Gum Boogie dances. 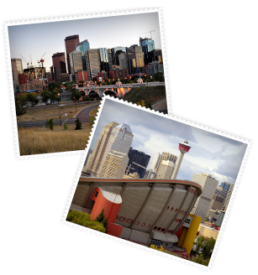 The Calgary Real Estate Advantage team can connect you with the best Scenic Acres homes for sale & real estate. Contact us online or call 403-968-1496 to get started!